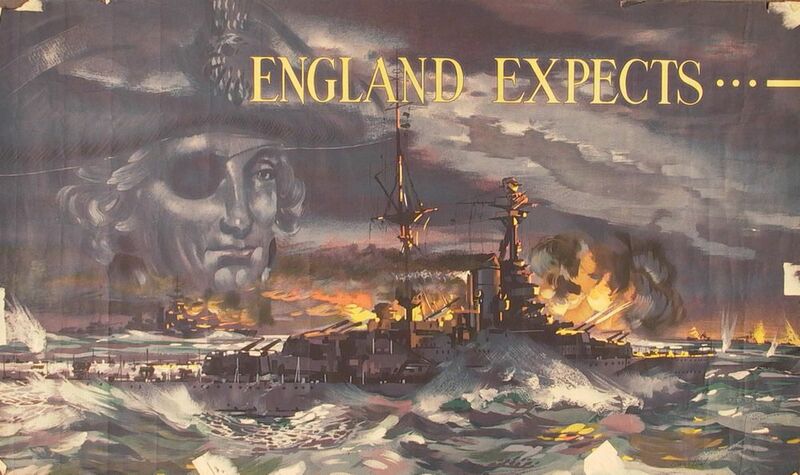 Printed poster issued during the Second World War showing Nelson in the background with a colour painting of a battleship firing heavy guns in the foreground. This England Expects... Art Print is created using state of the art, industry leading Digital printers. The result - a stunning reproduction at an affordable price.